Rising transportation costs and impending rules on carbon emissions are prompting companies to reassess their sourcing strategies. Many are realizing substantial savings in the process. When London was awarded the 2012 Olympic Games, politicians and organizers upped the stakes in terms of sustainable procurement. Describing the event as “the most sustainable games ever,” Lord Sebastian Coe, head of the London games organizing committee, said the games would “set new standards of sustainability.” While Beijing invested more than $16.4 billion in environmental infrastructure for the Olympics, saving a reported 1.2 million to 1.5 million metric tons of carbon dioxide emissions through energy conservation projects and the use of renewable energy, Shaun McCarthy, chair of the Commission for Sustainable London 2012, an independent body that reports to the government on the sustainability of the London Olympics, says Beijing was not all a success story in the sustainability stakes. While the “Birds Nest” stadium in Beijing may have looked amazing, McCarthy says it was questionable from a sustainability perspective as it used a lot of steel, which is energy intensive to produce. He says the Olympic stadium for London 2012 may not have the “wow” factor of Beijing’s, but it will be lighter and use sustainable plastics. 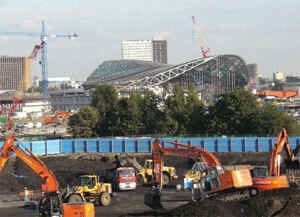 Although there are some issues to resolve around the use of PVC and HFC refrigerants at the Olympic sites as well as the amount of steel being used to construct the new aquatic center, McCarthy believes the London Olympics will set the standard for future games as the Olympic Delivery Authority (ODA) is breaking new ground in terms of sustainable procurement. Even more groundbreaking, perhaps, is that an impact assessment has been conducted in keys areas of ODA procurement. “That is the first time any major construction project has done that,” McCarthy explains. The plan is to produce a carbon footprint assessment for the whole of the games, including construction materials from the point of manufacturing to their delivery on-site. McCarthy says every piece of concrete that is used at the Olympic site was purchased competitively based on its carbon footprint, which is listed on the delivery note for each consignment. “London 2012 will break new ground,” says McCarthy, who also runs a not-for-profit consultancy on sustainable procurement called Action Sustainability. But while sustainability is rising up the agenda of some companies, he says others are still just paying it lip service. “Some are walking the walk, but there are many that aren’t,” he comments. Instead of having a “rigorous” set of objectives and principles in place for sustainable procurement, McCarthy says most firms are still doing “fluffy” projects such as putting solar panels on a roof, which they can write a few pages about in their annual reports. “That is not what it [sustainable procurement] is all about,” he says. McCarthy points to “leading-edge” companies such as UK food and clothing retailer Marks & Spencer, which announced its so-called Plan A—a list of 100 commitments it is making relating to sustainability—in January 2007. Under the plan, M&S; has already cut emissions by 18% and food packaging by 12%. McCarthy also lauds GE and its “ecomagination” project, which comprises a substantial investment in R&D; to ensure sustainability across its product portfolio. “They are walking the walk and are trying to differentiate their business offering around sustainability,” he says. Since 2003 Professor Olivier Bruel, associate professor and coordinator, Operations Management & Information Technology Department, HEC Paris, has tracked sustainability awareness among European procurement directors in the Sustainable Procurement Benchmark Report. In the early years, he says, sustainable procurement was “very à la mode,” with little in the way of concrete action except by a few pioneers. By 2005 things had shifted up a gear, with 60% of procurement directors indicating that sustainable development had become a strategic issue in terms of policies and practices. According to Bruel’s report, top-down pressures and negative publicity forced senior executives of some companies to assign a higher level of importance to corporate social responsibility (CSR) and sustainable development. McCarthy points to the examples of Nike and Adidas, which were forced to address risks in their supply chain after a barrage of bad publicity about the use of child labor. “You have to have a reason for doing sustainable procurement, whether it is opportunity driven, risk driven or politically driven,” says McCarthy. By 2007 Bruel’s third survey of procurement directors indicated that more than 80% of them put sustainable development as one of their top-three priorities alongside direct and indirect cost cutting. Few, however, had taken concrete steps to integrate sustainable development into their supply chains, except for some leaders such as US supermarket giant Wal-Mart, which launched a packaging initiative to reduce its carbon emissions by 600,000 tons, slicing a healthy $3.4 billion off its cost base at the same time. In early 2008 French rail company SNCF launched a new procurement program called SynergiA that put sustainable development criteria on a par with more traditional procurement considerations such as economic performance and supplier quality. It would be foolhardy, however, to think that the corporate world is motivated purely by a desire to save the planet. Most sustainable procurement programs are seen as a way of protecting a company’s brand against reputational and other supply-chain risks. McCarthy asserts that most companies do sustainable procurement for one or two reasons: to comply with corporate targets around reducing carbon emissions, for example, or the use of recycled materials, or to mitigate risk in their supply chain. Italy’s third-largest banking group, Gruppo Montepaschi, set about developing a sustainable procurement policy as part of its overarching CSR framework. With responsibility for procurement, logistics, health and safety, environment and security management at Montepaschi, Luca Guzzabocca says the company’s objective is not only to minimize the social, environmental and economic impact of all commodities and materials it buys but to become more cost competitive in the way it procures goods and services from its largely Italian supplier base. “We shouldn’t forget that when we talk about sustainability in terms of procurement or supply chain management, we have to consider a sustainable way of working, which results in more competitive costs,” Guzzabocca explains. Having reduced carbon emissions by reducing the number of trucks used to transport money to its 3,000 branches in Italy, Montepaschi will assess the sustainability of its supplier base, focusing on the 300 to 400 companies it has 80% of its spend with. 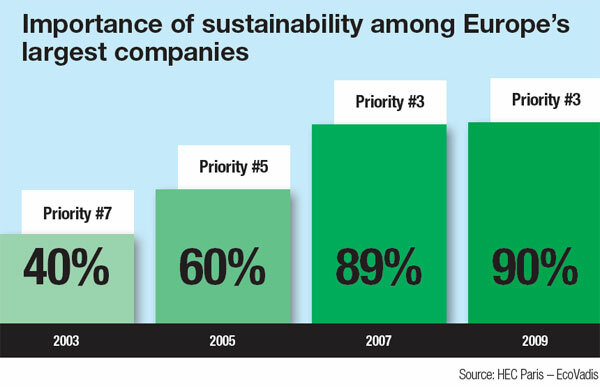 With the effects of the financial crisis still ricocheting throughout corporate supply chains, has 2009 seen companies waver in their commitment to sustainable procurement? 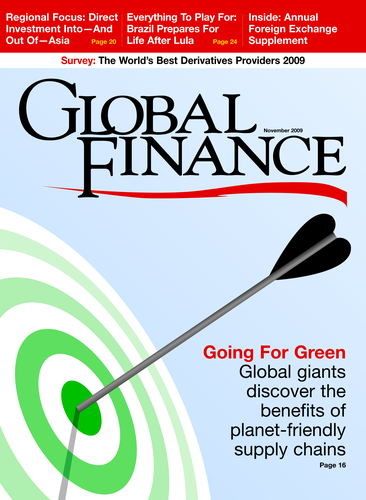 Bruel, who carried out the fourth-annual HEC Paris–EcoVadis Sustainable Procurement Benchmark Report at the height of the financial crisis in 2008, says the priority level assigned to sustainable procurement may have “plateaued.” More than 80% of procurement directors consider it to be a top-three priority. Only 11% of companies plan to reduce their sustainable procurement budget this year, while 35% said they would increase their budgets. Given the sheer scale of the London Olympics development, it would be easy to think that developers may have skimped on meeting their ambitious sustainability targets in the wake of the recession. 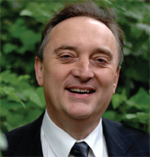 However, in the Commission for Sustainable London 2012’s annual review for 2008, McCarthy states that sustainability standards have not been diluted in the interest of cost saving, although he conceded that delivering sustainable solutions in a recession to a project with an immovable deadline was tough. While sustainable procurement may have started in the business-to-consumer space, EcoVadis’s Thaler says it is now a priority for business-to-business companies as well, although retailers like Wal-Mart continue to lead the way by announcing that it would undertake a sustainable assessment of 100,000 of its suppliers across seven countries. “This will accelerate things because Wal-Mart is such a huge buyer,” says Thaler. He adds that suppliers are increasingly responsive to buyers’ demands for transparency around sustainability issues. “Very few suppliers say they don’t care about this,” he notes. The 2009 sustainability benchmark report indicates that sustainable procurement “remained solidly anchored in second place, just behind cost cutting (direct and indirect costs)” and well ahead of other objectives such as contract compliance or the development of innovative products. Furthermore, 75% of the procurement executives surveyed were integrating CSR into the bidding process, and 30% of them had assigned a “significant weighting” (an average weight of 10%) to these criteria in supplier grading and selection. Concrete steps had been taken by 37% of companies to establish a sustainable procurement department or some form of “dedicated entity.” Half of the companies surveyed in the 2009 report had also raised buyer awareness of sustainable procurement. 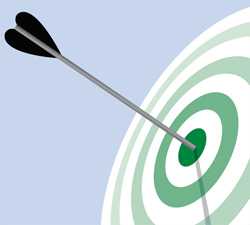 Getting to the stage where procurement directors feel they are actually making progress in terms of achieving their sustainability objectives is a critical milestone in itself. The problem for most companies, says Guzzabocca, is that they find it difficult to bridge the chasm between drafting sustainable procurement policies and actual execution. One of the keys to successful execution, he says, is to have someone within a company championing the cause. This is easier said than done when there are few chief procurement officers that have a passion for it, says Guzzabocca, and general knowledge and awareness is poor. “While countries such as the UK and France are leading the way in terms of sustainable procurement, in Italy our weakness is that we have a lot of smaller to medium-size companies,” he explains. Talking to big-name suppliers like Hewlett-Packard and IBM about sustainable procurement may be greeted with reassuring nods as they are already familiar with the concept, but talking to local suppliers who have five to 10 employees is more difficult, he says. Montepaschi’s sustainable procurement policy encompasses three aspects: environmental, social and economic. But having a passion for sustainable procurement is not enough, says Guzzabocca. “You need to have the data and statistics to back it up. You have to demonstrate that the sustainable approach can generate value for a company. If you don’t have this, you will not succeed,” he asserts. Montepaschi uses key performance indicators (KPIs) to measure the value of its sustainable procurement program. It has KPIs that look at, for example, the number of suppliers it uses that adhere to ISO social accountability standards, or KPIs linked to green purchasing in terms of percentage spend that is green and actual cost savings resulting from energy efficiencies. The principal shortfall in most sustainable procurement programs can lay in a lack of appropriate processes, dedicated tools, skills, indicators and an inability to determine targets and guidelines for implementation. “Sustainability is an area which is quite vague or broad,” remarks Thaler, “which makes it difficult to calculate scores or use metrics. That is one of the reasons we set up EcoVadis, to help establish standards for sustainable procurement.” He believes the standards will help ensure buyers are all asking the same questions of all suppliers.